Arizona is well known for its opportunities for outdoor living. While it is true that the summer months bring intense heat, most of the year the weather is perfect for hiking. We are avid hikers in my family and have been taking the kiddos out hiking since they were infants. 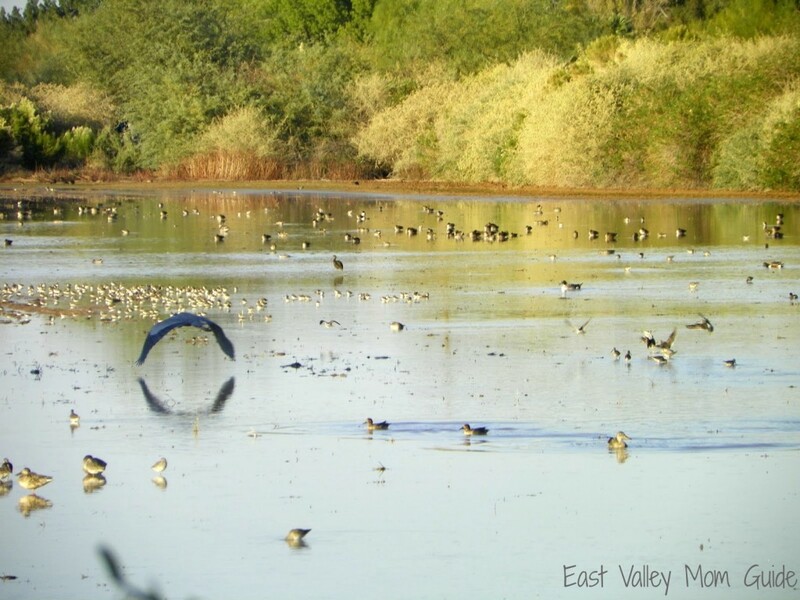 There are many great hiking trails in the East Valley that you can enjoy with your family. Here are five popular trails that you can get to in less than an hour from anywhere in the East Valley. Lost Dutchman State Park and the area around the Superstition Mountains is, in my opinion, the best place to hike in the East Valley. There are several trails of varying difficulty and terrain including First Water, Siphon Draw, Treasure Loop, Hieroglyphic Trail, Jacob’s Crosscut,and many more. 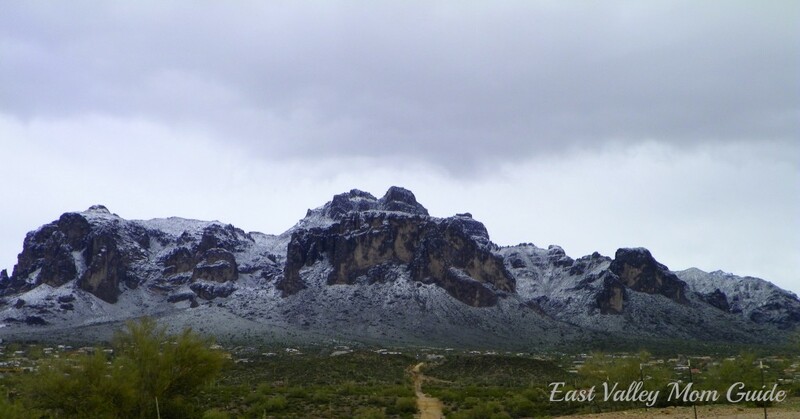 Here is a comprehensive list of the area’s trails including the length of hikes, difficulty and location for trails in the Lost Dutchman State Park and the Superstition Mountain Wilderness. Bookmark these lists! Usery Park is an amazing place. Like Lost Dutchman State Park, Usery has several trails of varying length and difficulty, but it also has playgrounds! The most popular trail at Usery is Wind Cave Trail. It is a moderately difficult hike with breathtaking views and even chipmunks. Check out this video about the trail. Did you know that South Mountain Park is the world’s largest city park? How cool is that? South Mountain has trails for every ability level and rewards you with the best view of Phoenix you can get with your feet still on the ground. Take a few minutes and watch this fun Emmy Award winning video about hiking South Mountain. If these trails are a little too desert and rural for you, then check out the Gilbert Riparian Preserve. As I said in my review of the preserve, the Gilbert Riparian Preserve is a 110 acre island of wonder and intrigue right in the middle of suburbia. That may sound a little exaggerated, but trust me, the farther back into the preserve you go, the more you will forget you are in civilization at all. It is an amazing place. 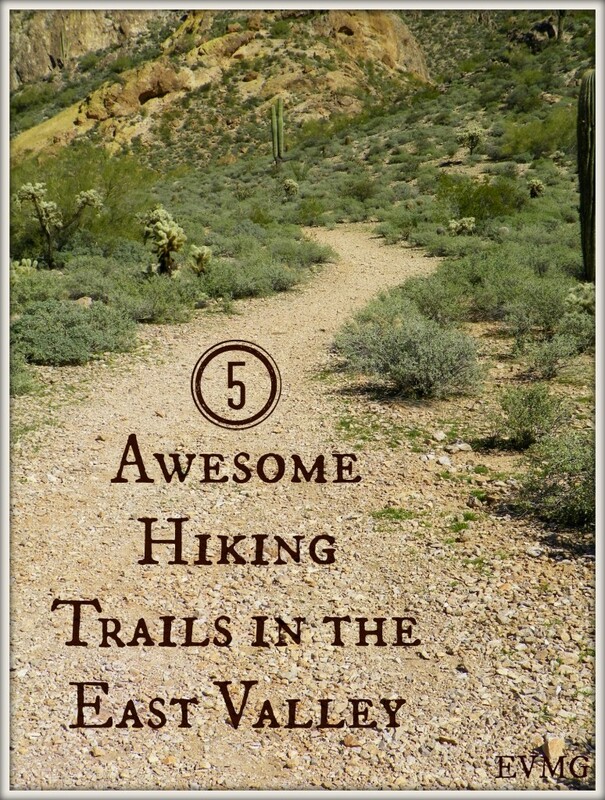 Go take a hike (and have fun) on one of these awesome hiking trails in the East Valley. Before you head out on that hike, check out these hiking tips for families. Janice is an Arizona native, a soldier's girl, daughter of the King, and mother to two. She shares family activity ideas, recipes, crafts, and product reviews at Celebrating Family. Read more about Janice here! Funny when I google best walking paths in east valley az, I wind up here! 🙂 We just walked Riparian Preserve tonight and am wanting to expand our locations so we can visit more than one! Great list! I love to take my kids hiking. I didn’t know about some of these trails. Thank you! !